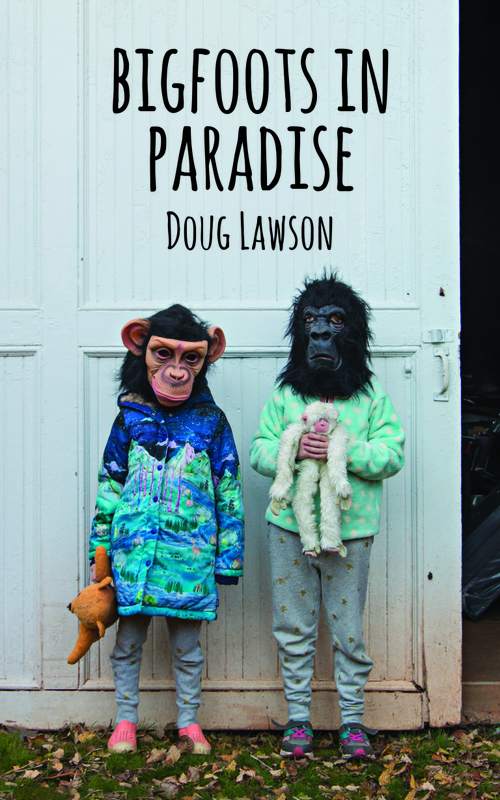 Doug Lawson’s collection of short stories, Bigfoots in Paradise, is set in and around Santa Cruz, California, between Silicon Valley and the Pacific Ocean. There are eight stories, each about 20-30 pages, and many have been previously published in journals such as Gargoyle, Glimmer Train, and Mississippi Review, amongst others. Doug Lawson writes with confidence, his prose is lyrical and poetic, and he comfortably blends dark comedy and empathic observations. 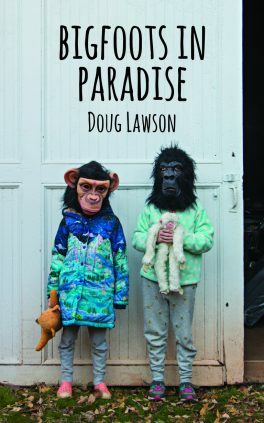 Lawson pays attention to those details that sum up characters in only a sentence or two. A car belonging to the boss in “Catch The Air” has “empty Starbucks cups, a stained Stanford sweatshirt, a pair of heels, a familiar lace bra, a dismantled circuit board.” I can picture the character of Helen instantly. It’s also telling of the narrator as to what he notices within the chaos of her cluttered vehicle. In “Jersey Devils,” Alpo is described with such vivid specifics: “With a string-haired, rounded head, arms the seem just a little too long, and small wrinkled hands clasping a shopping bag.” The image lingers as I read of their job visiting farms, which sounds innocuous enough, yet isn’t. These stories often take wonderful unexpected turns and I found myself reading one story after another, wanting more. Opening lines bring you in fast: “Several weeks before he died, my father showed up for my wedding on time, riding a meticulously restored World War II army motorcycle with Jessica, his nurse, in the sidecar.” Don’t you want to know more about this dad? I did. There are also moments of such tenderness that made me sit back and absorb them before moving along, especially at the end of “House on Bear Mountain.” There is an unexpected and funny turn when Claire stands up for herself and then ends with a gentle truth of how she “found her true voice.” You’ll have to find it for yourselves and read the story she tells her daughter about the dogs’ dinnertimes. Lawson knows the territory and it comes across, as I can picture the landscape and personalities. The environment is clearly described and the characters could only live there. It’s a unique world he’s created and shared here.